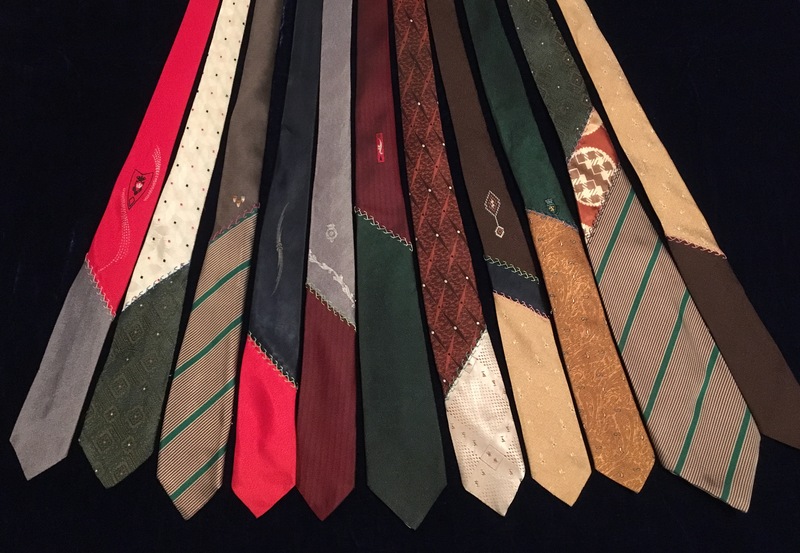 To make a House of Larréon Patchwork Couture Necktie, I meticulously dissect and reassemble vintage neckties, then hand-embroider their joining seams with 100% silk thread. 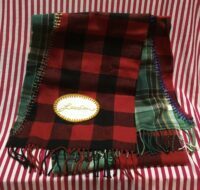 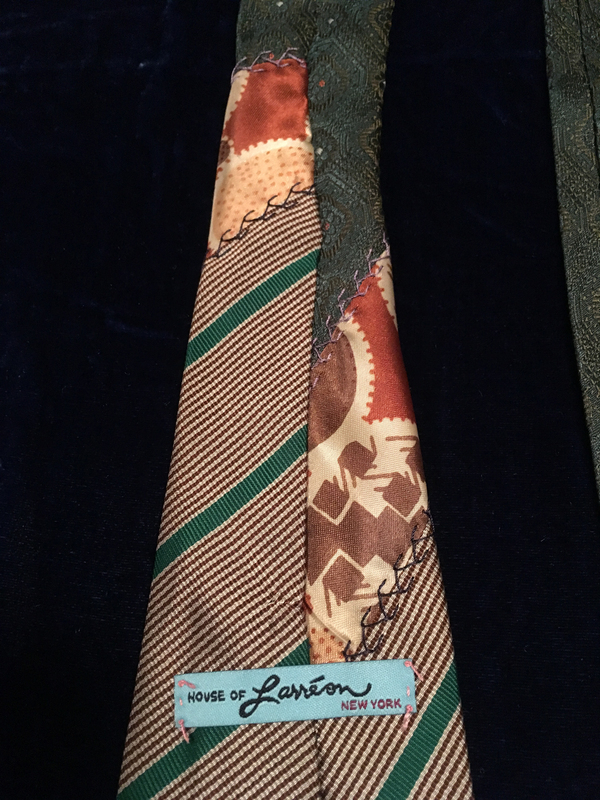 Only after each newly assembled, embroidered tie passes the most scrutinizing inspection by the House of Larréon Couture Cuality Control Crüe (or the “HOL C to the 4th Power”), do I then lovingly brand each unique tie with the House of Larréon label. 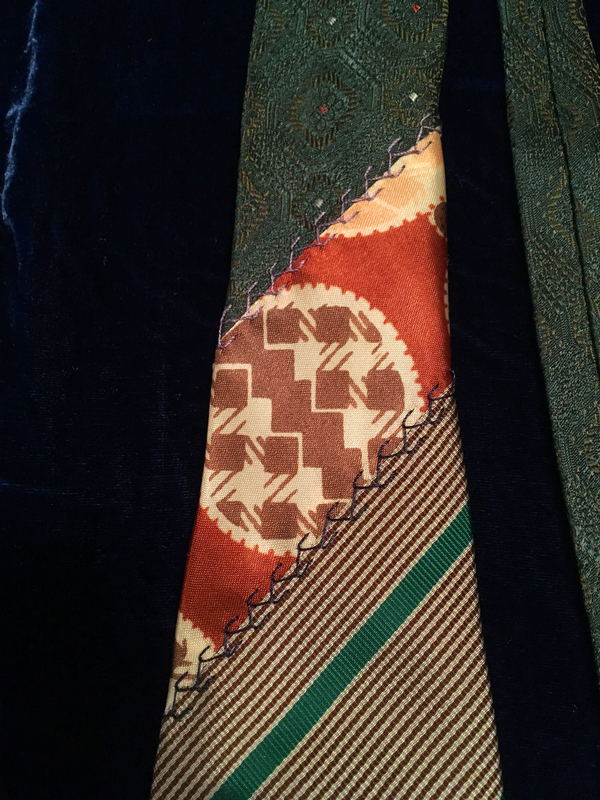 This tie is made from 2 gorgeous silk ties from the 1940’s (the striped one was custom made for my great Uncle Alex in Chicago) combined with a 3rd tie, likely from the 1960’s made of a Dacron polyester variant. 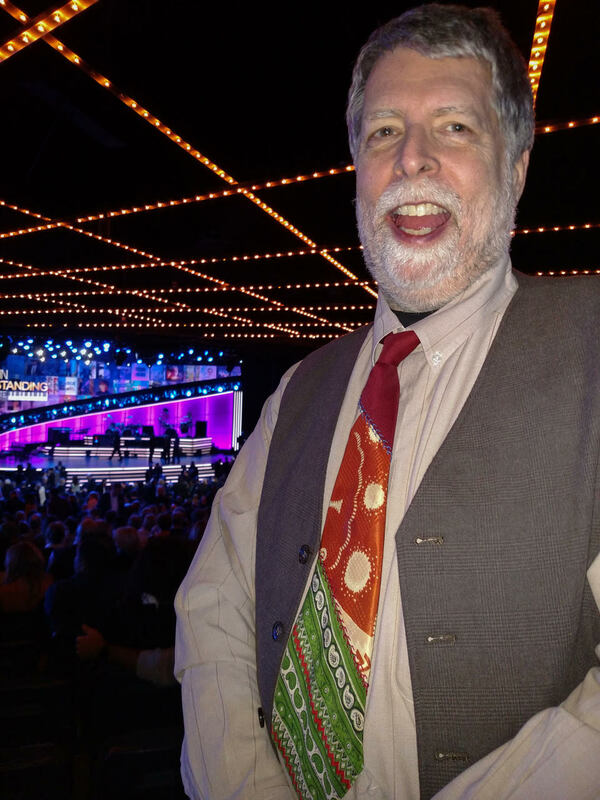 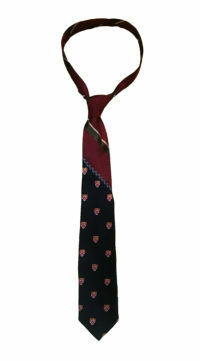 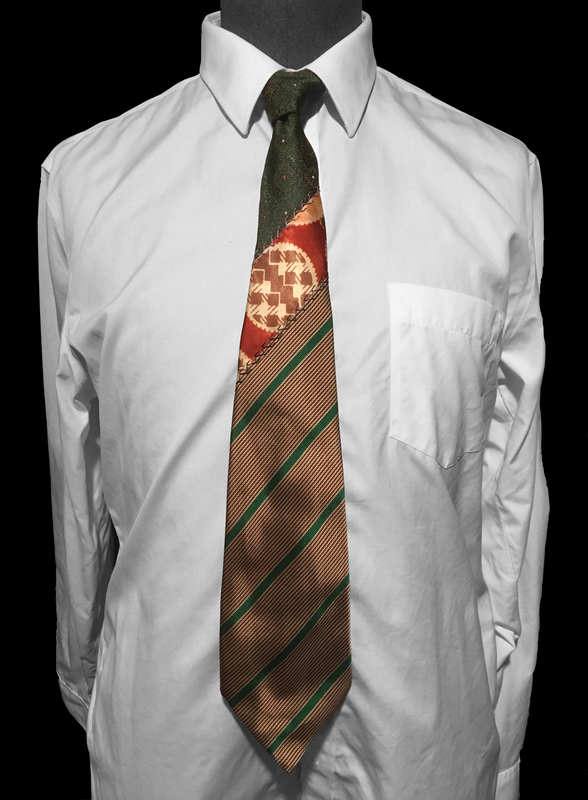 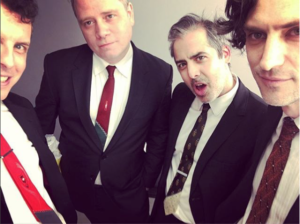 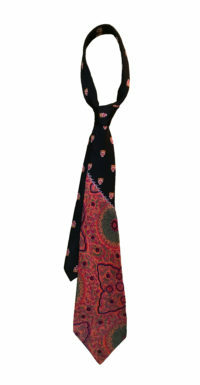 This tie is 65″ long and 4″ wide at its widest point. 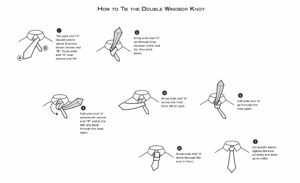 That’s extra long & kind of wide- perfect for a double windsor knot!